Wuxi Life Science and Technology Park is a biology industrial base approved by the Jiangsu Science and Technology Department in 2010. The park is consisted of two sectors, which are the headquarter R&D sector and the industrial sector, with the former being responsible for projects related to life science and technology industrial headquarter economy, high-end innovation and R&D, medical apparatus and instruments, pharmaceutical storage and logistics, public technology service platforms and so on while the latter undertaking major industrial projects in life science. Covering an area of 96.2 acres, the headquarter R&D sector is located at the Wuxi Airport Industrial Park at a total investment worth of 1.2 billion yuan. 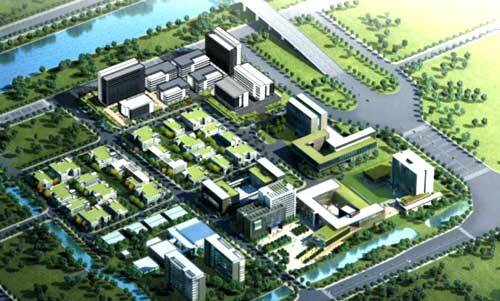 The Wuxi Food and Drug Inspection Center, covering an area of 1.6 square kilometers, is also located in the R&D sector.